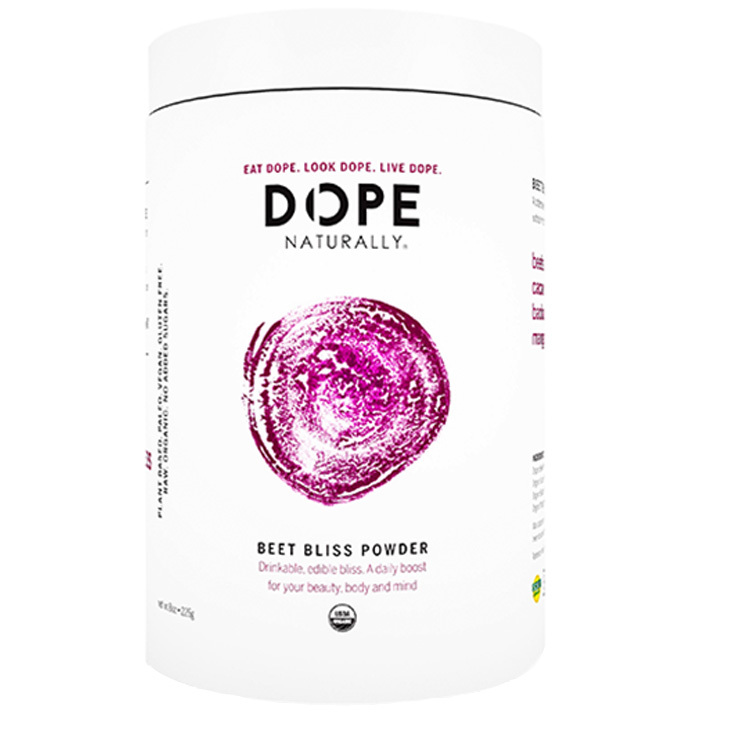 Beet Bliss by Dope Naturally is a blendable and edible USDA Certified Organic nutrition powder fusion of four dynamic superfoods, beets, cacao, mangosteen, and baobab for a clean, plant-based feeling of boosted energy. A mindful alternative to artificial stimulants, these Superpower ingredients work together to enhance a sense of mental and physical stamina, as well as provide a feeling of mind/body balance. 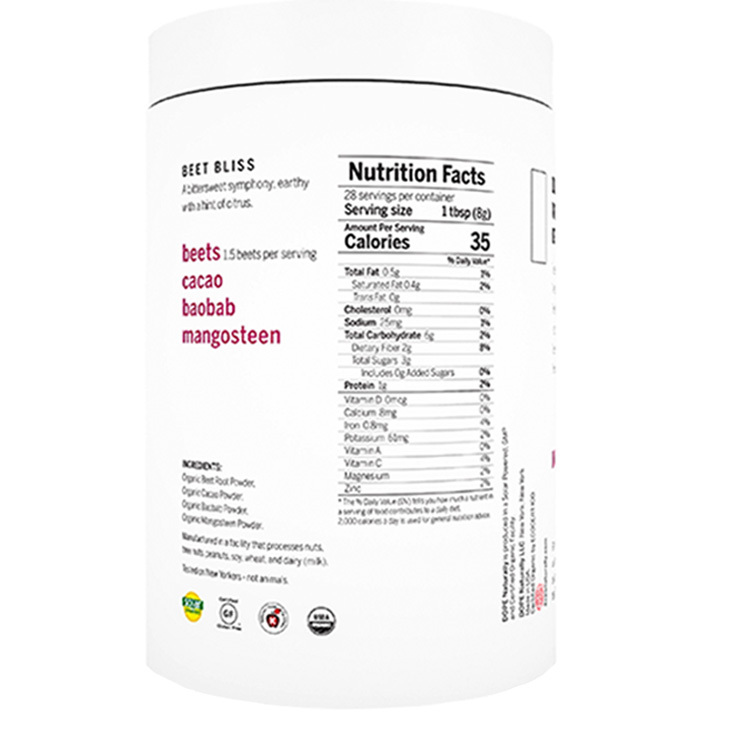 Add 1 tbsp of the organic beet powder to your favorite food and drink recipes.